Both my babies are miracle babies, conceived through IVF. The entire "getting pregnant" process has been anything BUT natural. I dreamed of a vaginal birth so that I could fully experience the process of giving birth the natural way. When pregnant with Blythe, I learned midway through my pregnancy that I was not going to have the birthing experience I longed for. "Your case is borderline Placenta Previa. You risk rupturing the placenta if you delivered naturally, putting both yourself and your baby at risk." was how the news was delivered to me, words that you can't argue with because it is a fact. The fact is, I was devastated. People didn't understand why. Why choose pain when you can choose pain-free? But in my mind, I wanted to feel every single bit of pain that it takes to push my baby out. That, to me, feels most REAL. I wanted at least some part of this experience to feel real. Yet there we were that evening, sitting in our weekly birthing class hearing other couples talk about their dream birthing plan. I held back tears as I uttered "I'm having a scheduled c-section". When pregnant with Daryl, I waited nervously for my 21 week ultrasound scan that would tell me if my placenta was in the clear. I was so relieved when I got the thumbs up from the nurse and I told her I was gunning for a vaginal birth this time around. All the doctors and nurses were extremely supportive of this decision. I thought to myself, finally, I can have my dose of something natural. I did everything to prepare myself for a VBAC. As usual, I kept up with my visits to my naturopath. I was worried that my small body structure would not allow enough of an "opening" for my baby to come out so I sought a pelvic specialist to teach me hip opening exercises. I saw a chiropractor who made sure my back and hips were nice and relaxed. I practiced perineal massages every night despite how much I hated them. I had heard of HypnoBirthing from my best friend who had an amazing experience when giving birth to my god daughter. I hired a HypnoBirthing coach who came to our house once a week to teach us HypnoBirthing techniques. 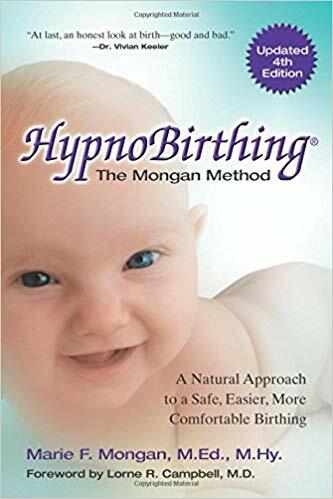 I read the HypnoBirthing book from cover to cover twice. Every night, I practiced my breathing exercises before bed and fell asleep to the meditative CD called Rainbow Relaxation. As my due date approached, I was ready as ready can be. I was mentally and physically prepared for the birthing experience of my dreams. I was SO ready to do it for REAL this time! Finally, nine days after the passing of my due date, my water broke. I literally jumped out of bed and gave my husband a high five. I got cleaned up, we dropped off Blythe at school and slowly made our way to the hospital. While waiting for a room, I did my speed walking up and down the hallway to help further the labour process. Four hours later, we got assigned a room. I was ecstatic. I had dreamed of this room in the past with the fully adjustable bed, a wide screen TV, a birthing tub, a fridge full of snacks and drinks (for the partners)...I finally got to experience it. Contractions grew stronger but I was still only 3 cm dilated. Nurses came to do a "sweep". I continued to pace the room and bounce up and down on the birthing ball to open up my hips. When contractions came, I breathed through them like I had been practicing for months. I was calm and feeling great. At the six hour mark, the doctor came and offered me inducement. I declined because my birthing plan was to go all natural. I wanted the contractions (and pain) to come naturally (and gradually). An hour later, she insisted again because we were running out of time. I accepted this time and the drugs worked immediately. The contractions got stronger and closer. I remained dilated at 4 cm. We were approaching the ten hour mark post water-break. The heart monitor started to detect a drop in my baby's heart rate every time a contraction kicked in. I kept breathing through them and remembering everything that my teacher taught me. I kept breathing and checking the heart monitor...breathing and checking the heart monitor. Finally, the doctor came in and told me I should go for a caesarian. She told me the baby's heart rate was dropping too low and they needed to take me off inducement. My options were to wait 20 minutes, put me back on inducement and try again, hoping that the baby's heart rate doesn't drop and result in an emergency caesarian. Or I go for a caesarian now while everything was still safe. Having witnessed the drop in my baby's heart rate on the monitor, I knew what was the right choice. 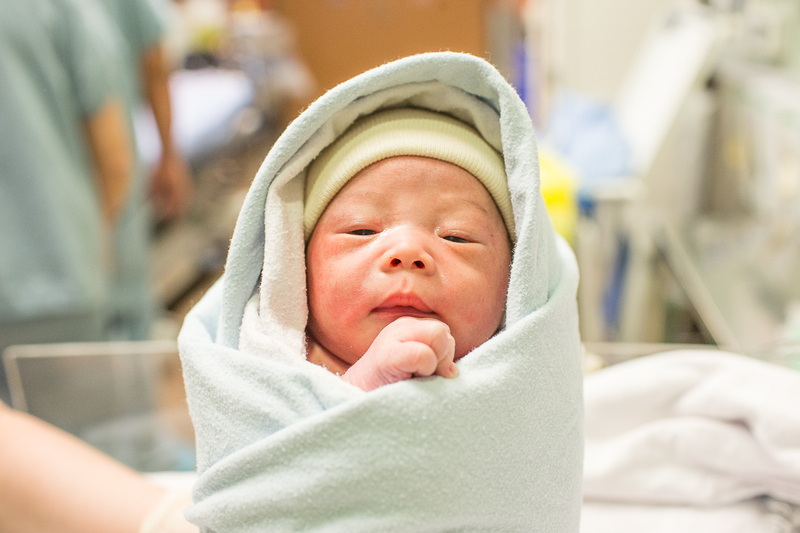 I took one deep breath and with a well of tears in my eyes, I took the caesarian. From that moment onwards, everything happened at the speed of light. I gave birth to my son by caesarian at 1:30 am on April 21, 2018. My failed attempt at VBAC. My second caesarian, which meant if I was to have a third baby, it would also have to be a caesarian. I am never going to get the birthing experience of my dreams.